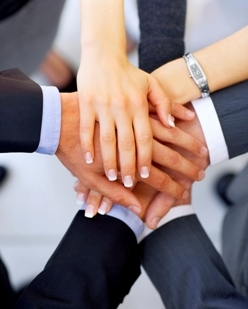 Many managers are concerned about their status as part of a collaborative organization. While their role is changing, their behavior will have to evolve as well. Being a manager, does not mean being a leader or to have a leadership attitude. Yet, in the context of a collaborative organization, managers will especially need to show leadership. Ie. move from managerial skills to a position of leadership. Through these two pillars, there are particular issues as in project management or transversal management. But the manager will have to go a little further, like change its posture. For this position of leadership, the manager will become a catalyst that inspires its employees. He releases the energy of employees, knows and decides how to to find a consensus when necessary. This means that he supports the employees by demonstrating openness, but also by enabling them to grow by giving them the right to « do wrong », which are the conditions to create confidence and enabling a risk taking attitude. So learn to delegate (by providing the means for its autonomy), by becoming a contact person in case of need, which controls not individuals, but results. This part often frighten managers, who fear the gaze of their superiors and their employees. Delegation did not reduce authority, and it will not prevent recognition from your superior and from your staff. Being thankful and supportive is a way to motivate others. We must create an environment conducive to the success of the individuals. The purpose of a manager is to organize and develop a team. The top management judge you on your animation team skills. 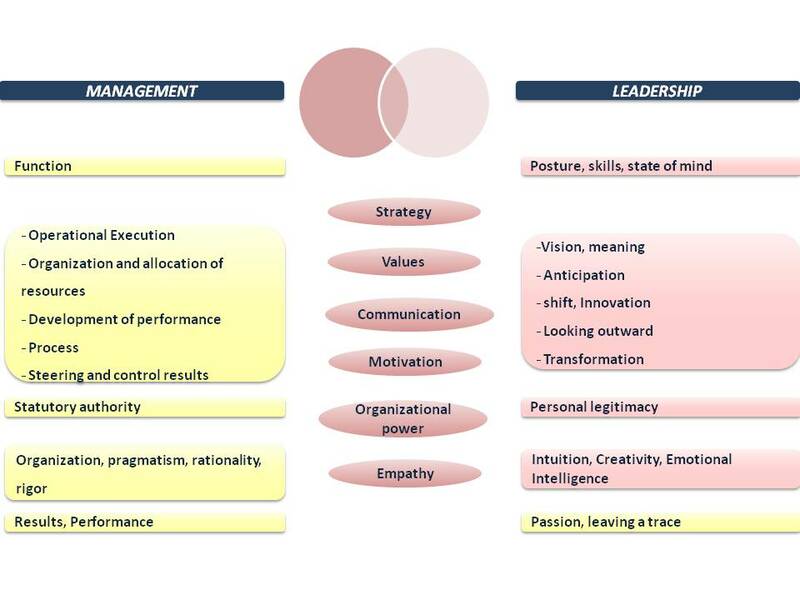 Far from exhausting the subject, here is a diagram that shows the differences (though of course the reality is not as separate and sealed) from a position of management and leadership. Ce contenu a été publié dans management 2.0, Post in english par Anthony Poncier, et marqué avec collaboration, leadership, management, management 2.0, manager. Mettez-le en favori avec son permalien.